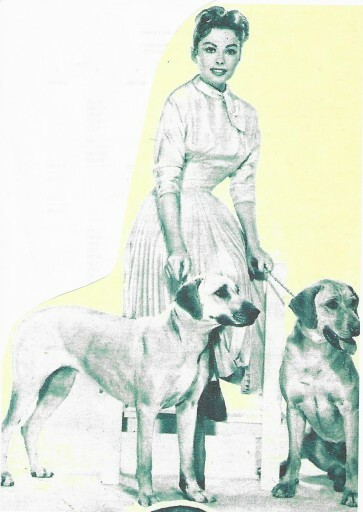 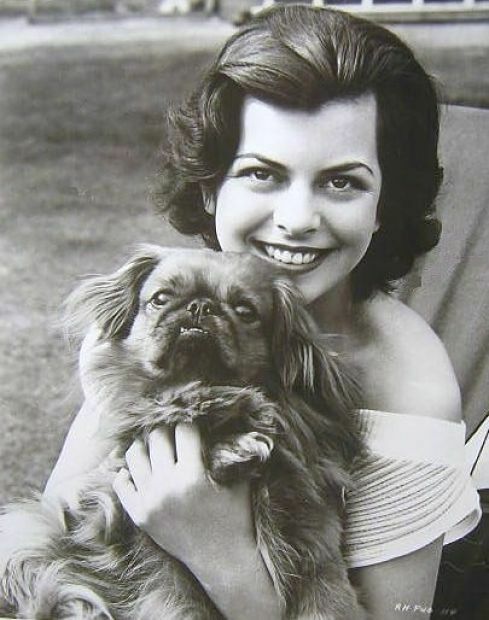 Joan Rice with a little Peke – not sure that this was her dog – I do know though that later in life when she had left films and had an Estate Agency in Maidenhead that she owned – and loved – her Labrador Sheba. 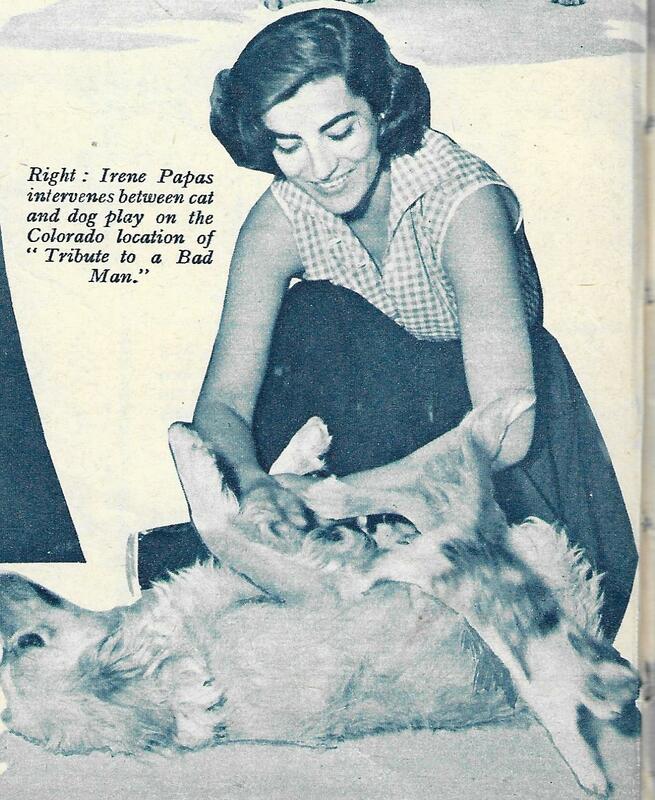 Irene Papas ABOVE – intervenes between cat and dog as they play together. 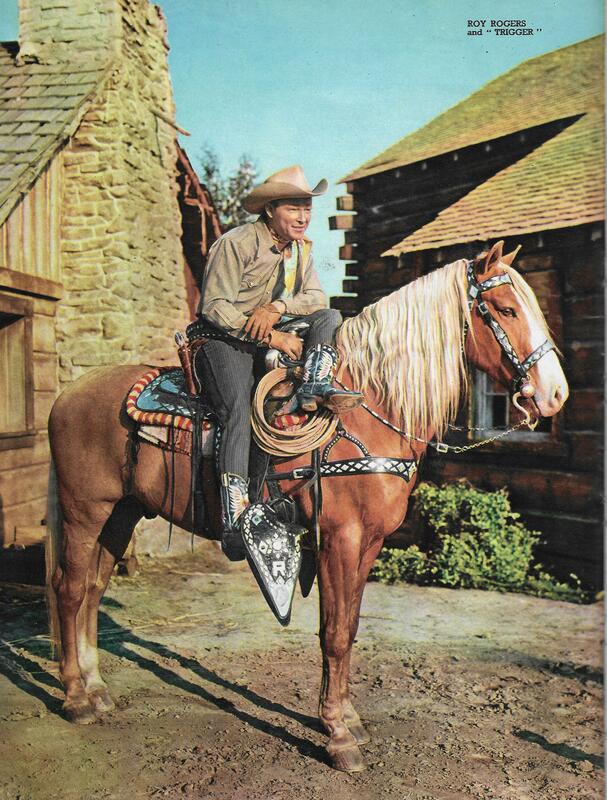 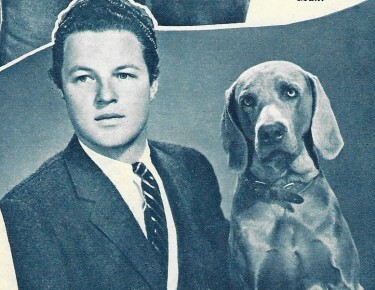 Roy Rogers and Trigger – Trigger even went to work with Roy Rogers – and usually enjoyed star billing in his films – and travelled abroad on promotional trips. 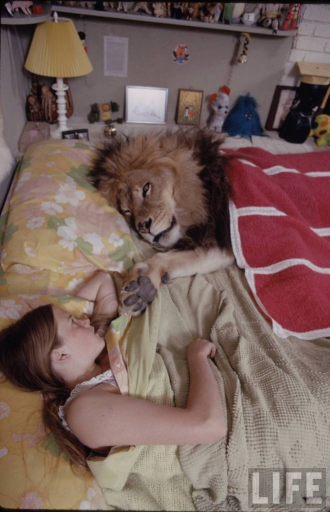 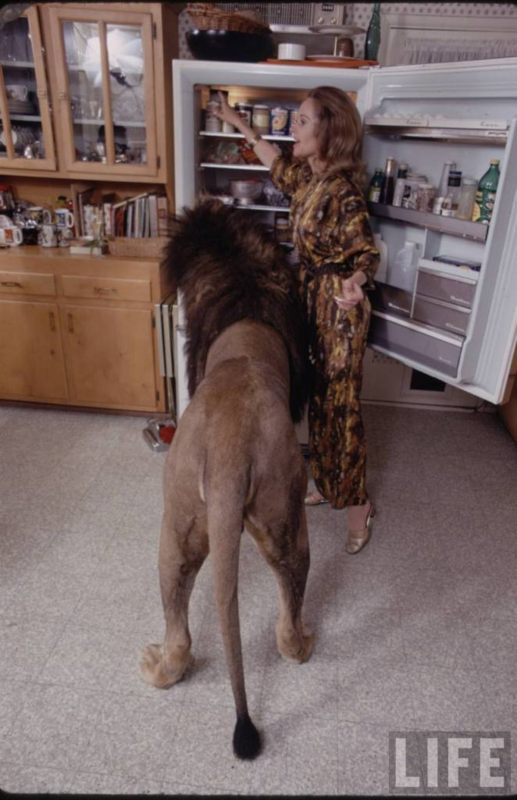 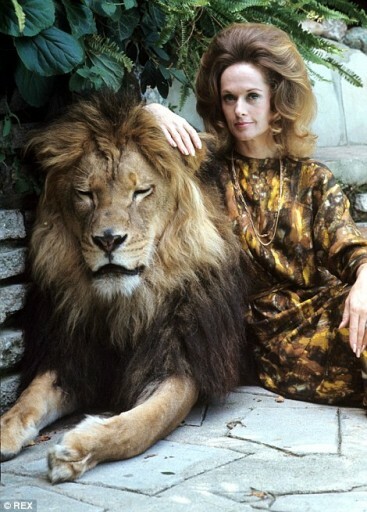 Now we go to the extreme as a pet owner – Tippi Hedren had a full grown male lion called Neil share her home.